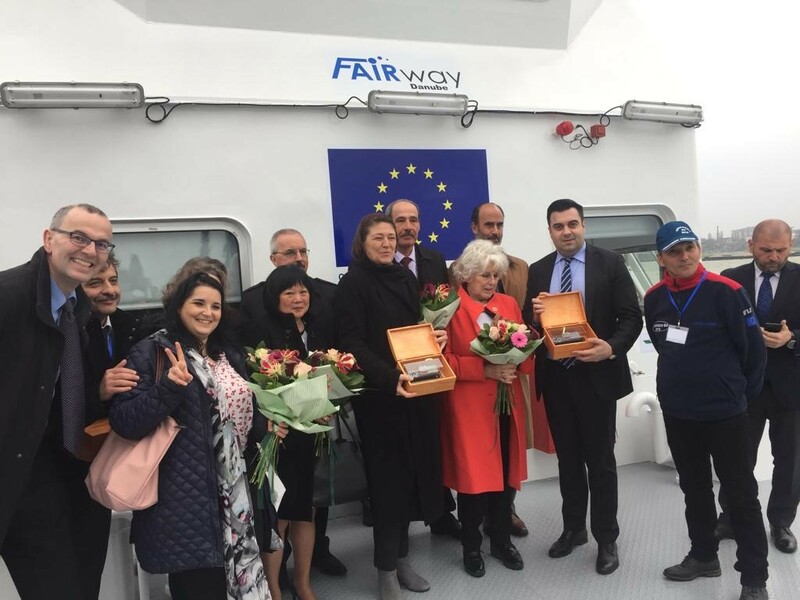 On 26 March 2019, a marking vessel has been launched in Giurgiu (Romania) by Romanian Transport Minister Razvan Cuc, European Transport Commissioner Violeta Bulc, Rhine-Danube Core Network Corridor European Coordinator Karla Peijs and INEA Director Dirk Beckers. The “Concordia EU 2019” will allow fleet operators and shippers to enjoy safer and more reliable navigation on the Danube River. The vessel is part of the CEF-funded FAIRway project on the Rhine-Danube Core Network Corridor, an 85% EU-funded project, whose purpose is to improve transport infrastructure on the Danube River in order to achieve good navigation conditions.